We have a team of highly skilled and experienced North Carolina auto adjusters. We perform auto adjusting in all North Carolina metro areas and can be a one-stop shop for all of your auto claim needs. Your auto assignments will be handled with determination, persistence and a dogged refusal to be swayed by anything but the true facts of how the loss occurred. Everyday there are accidents and auto claims filed in the state of North Carolina. 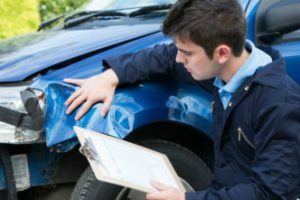 With highly trained North Carolina investigators, including North Carolina auto adjusters, we can provide effective help and get you all the facts you need for your assignments. We handle North Carolina auto liability claims as well as Comp and Collision in North Carolina to the full conclusion of each claim. It is our sole purpose to competently close claims for you, and we are known for getting it right the first time. Look no further – we are ready for your North Carolina automobile claims assignments! North Carolina Auto Adjusters – your best choice for handling claims!